The collaboration between 23andMe and MyHeritage has ended and customers with a 23andMe tree (created prior to May 2015) can no longer connect that tree to the MyHeritage site; the free trial of the MyHeritage service offered to 23andMe customers also is no longer available. If you transferred a 23andMe tree or created a tree in the MyHeritage site, you will still be able to access your tree by visiting the MyHeritage site, and MyHeritage will continue to maintain free access to view public MyHeritage trees on the MyHeritage site. One way to share key information about your ancestors with other 23andMe customers was to create a family tree through the 23andMe Family Tree feature (prior to May 2015) or MyHeritage connection (available after May 2015). 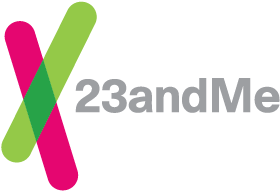 Both options provided customers with a way to share his or her family tree with genetic matches in the 23andMe DNA Relatives feature. *23andMe is not affiliated with any third party family tree related service, including but not limited to those providers listed above. Any and all references to any third party family tree related service provider does not constitute or imply an endorsement, recommendation or favoring by 23andMe.